1967 Dodge W-300 Standard Cab Pickup Truck by Finks Garage. Includes one piece cab, hood, radiator support and shroud, interior parts, seat, dash, door panels, steering wheel, grille, wheels, and inner fenders. 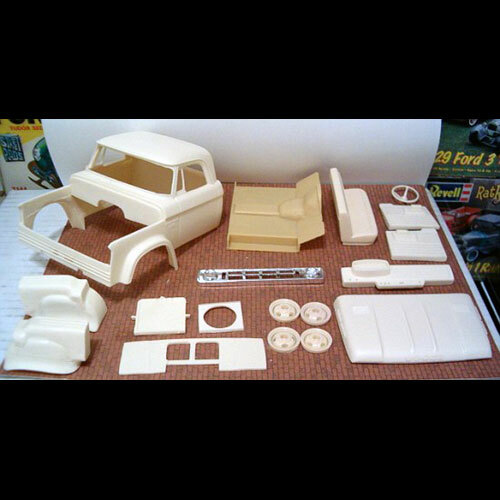 This resin model / body would require a light Truck model kit for donor parts to finish.